The Accidental Prime Minister Box Office Prediction: Can Anupam Kher's movie survive clash with 3 big releases? The Accidental Prime Minister is clashing with Vicky Kaushal's Uri: The Surgical Strike. 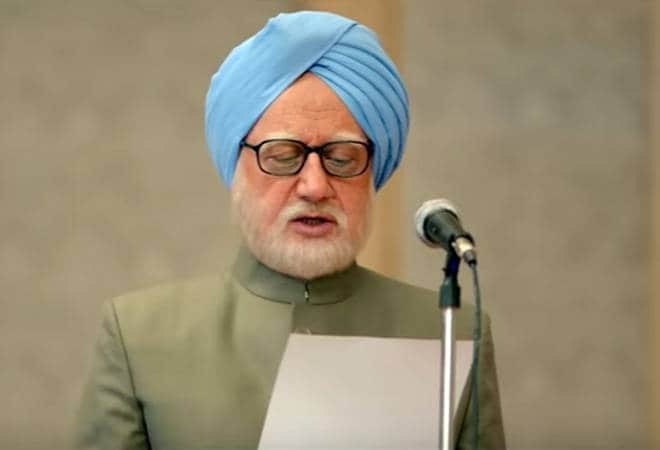 Anupam Kher's latest movie, The Accidental Prime Minister, based on the book with the same name by Sanjaya Baru is slated to release on January 11. The Accidental Prime Minister has garnered quite a lot of interest on social media because of its subject matter - former Prime Minister Manmohan Singh. The Accidental Prime Minister will be clashing with Vicky Kaushal-Yami Gautam's Uri: The Surgical Strike. Moreover, two of the biggest stars in India - Rajinikanth and Ajith - are releasing their movies, Petta and Viswasam, on January 10. There are a lot of big releases this week and this may divert attention from The Accidental Prime Minister. The Accidental Prime Minister is also highly politicised - which may work for some viewers while disappointing viewers looking for some light content. Additionally fans of masala movies might not find much flavour in this political drama by Vijay Ratnakar Gutte. On the other hand, viewers might also be curious about the depiction of the Gandhi family, which could lead to an increase in footfall. However, there are no A-listers in The Accidental Prime Minister. Akshaye Khanna, who was last seen in 2017's Ittefaq is playing the role of political commentator Sanjaya Baru. Anupam Kher will be seen as former PM Manmohan Singh. Suzanne Bernert plays Sonia Gandhi and Arjun Mathur plays Rahul Gandhi. While the Pongal/Sankranti holidays as well as the days leading to Republic Day are expected to bring in the moolah for The Accidental Prime Minister, trade analysts believe that the movie will be able to collect in the range of Rs 3 crore on its opening day. Moments after the release of The Accidental Prime Minister trailer, the damaging movie had received some severe backlash for its timing, which comes months before the Lok Sabha polls. "Everyone is free to interpret in their own ways. Patriotic films are released on 15th August or 26th January, similarly this is a political film and we would like to release this film in political time. We are very proud of the product. People would want to view it as a political film, but I have always supported my country, if that goes in favour of any particular party that's a different issue" Anupam Kher had said. Also read: Uri The Surgical Strike Box Office Prediction: Can this war drama propel Vicky Kaushal to stardom? Uri The Surgical Strike Box Office Prediction: Can this war drama propel Vicky Kaushal to stardom?